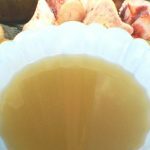 In this post, we examine a few healing points and safety issues about how to make bone broth that other posts and recipes don’t teach. Our family not only did GAPS Intro twice and the FULL GAPS Diet for over 6 years, but we also owned a gut healing cafe! for 8 years where we made thousands of gallons of bone broth. Doctors, especially cancer specialists, sent their patients to our cafe for bone broth and bone broth soups. 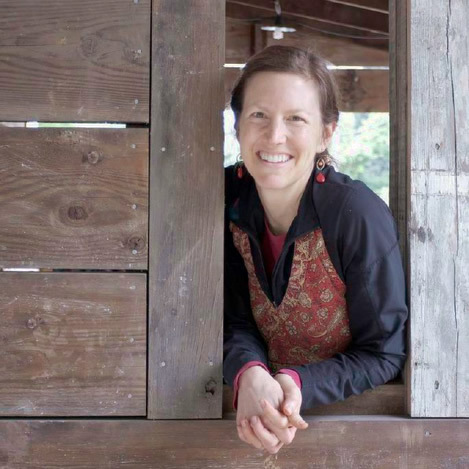 We learned a lot in those years, and still implement the principles weekly in our home, where we continue a nourishing, gentle, intentional diet that includes meat stocks and bone broth. May these guidelines and tips be helpful to you. For the best, most nourishing bone broth, harvest your bones’ broth at least two times: once after 2-3 hours for a very healing, high-fat broth called a meat stock, once after 24 hours, and again, optionally, between 48 and 72 hours. Each time you gather the broth from the bones, you simply add more water and sea salt, and keep going! If you’re using a crock-pot the whole process is easy and mess-free. * For healing the gut, restoring good general health, reducing inflammation, fighting viruses, and a host of other benefits, here is the most healthful tonic of all: mineral, collagen, and gelatin-rich bone broth. 1. Add bones to crock-pot. 2. Fill with filtered water. 3. Add optional apple cider vinegar and sea salt. See actual (and printable) Recipe Card below. The fat from the first 2-3 hour boil NEEDS to be consumed (or skimmed off and saved) after this time period has elapsed. If the fat continues to boil it will become rancid. My favorite broths are made from 1) chicken feet (or the whole leftover carcass of a chicken) or 2) beef marrow bones. Chicken feet yield a very gelatin-rich and flavorful broth, buttery and unbelievably sustaining in nature. The many joints in the feet are a key source of the needed gelatin and collagen. Beef marrow bones yield a rich 1-2 tablespoons of marrow for every bone used. The marrow makes such a good breakfast: floating pieces of good nourishing, flavorful marrow amidst a fatty broth and poached eggs. This might sound crazy; but I kid you not: first harvest beef marrow broth with the marrow itself and soft poached eggs is one of life’s most hidden, kingly culinary pleasures. What about FISH STOCK?? Yes!! So glad you asked! 😉 Fish stocks are fabulous! My favorite is actually a seafood stock made from shrimp shells. But you can make a fish stock out of any fish bones! If you have a great fish monger/market in your town, and there’s not much demand (which there rarely is), you can likely get fish bones with fresh, raw meat still on them, for free. The main thing to know about fish stocks is that they are always made like a meat stock, not a bone broth — so a short cook time. 30 minutes of stove top simmering is all, and fish stocks are best enjoyed the day they’re made. Shrimp stock is also good the next day. Regarding salt, start with half the amount you would use for a meat stock, and add more to taste, if needed, when the stock is done cooking. That means 2-3 pounds fish bones, 1 Tablespoon sea salt and 10 cups water for a large batch. You can make a smaller batch if using shrimp shells (if you don’t have that much weight). Add a bit of fresh garlic and/or fresh ginger to the finished stock. Depending on the kind of fish, fresh herbs are also lovely steeped in a mug of fish stock. Super nourishing and delicious. And the valuable fat is not over-cooked. Find the best recommendations on which shrimp to buy here. So Dr. Natasha has the authority to convince us about the nutritional importance of these foods. I, Megan Stevens, have the super-food-lover authority 😉 to tell you, cultivating a taste for, and truly appreciating, a good, rich, fatty broth is one of life’s ironies. You do it to heal your body. You end up giving yourself pleasure. P.S. Many customers ask me about adding vegetables to their bone broth. I say no. Vegetables actually taint the flavor of bone broth, a lot in my opinion. Any bone broth soup can be made with the vegetables once it’s complete. But do not add onions, carrots, celery or herbs to your initial pot of simmering bone broth. The pure, rich flavor that comes from just the bones, fat, connective tissue, and any small amount of meat that may still be on the bones, is not something that needs or wants amending. P.P.S. The first 2-3 hour broth (or 30 minutes in the Instant Pot is even better [see notes on the IP below]) is low-histamine, for those of you needing that. The bones must be very fresh, or frozen very fresh. *There has been some skepticism about the safety of modern crock pots. The ceramic is said by some to leach lead into food; and the FDA wording in their guidelines for safety is vague and not reassuring. Here’s a link to a helpful article, explaining one person’s testing of many popular-brand crock-pots and their almost-complete vindication. Our business has just invested in a HUGE stainless steel crock-pot. But the above research should be reassuring. Using a crock-pot to make bone broth really makes the whole process easy. Instant Pot Bone Broth- the easiest method! Instant Pots are the latest rage in broth making. I finally purchased mine a couple of years ago and LOVE it for bone broth. It’s much neater and faster. The first stage of soup (the 2-1/2 to 3 hour batch called meat stock) takes only 30 minutes to cook in the IP. The 24-72 hour crock pot/stove top batches take 2 hours to yield the same nutrient-dense broth, in an Instant Pot. Update: I’ll link to a video soon on this (that I just made), again on how to avoid rancid fat while making bone broth in the IP. It’s certainly a good product to consider. In the meantime, here’s the original Periscope video on the topic, but it’s a bit long and was made before I owned an IP. The Periscope video focuses more on the general principles and recipe and is made in a Crock Pot. 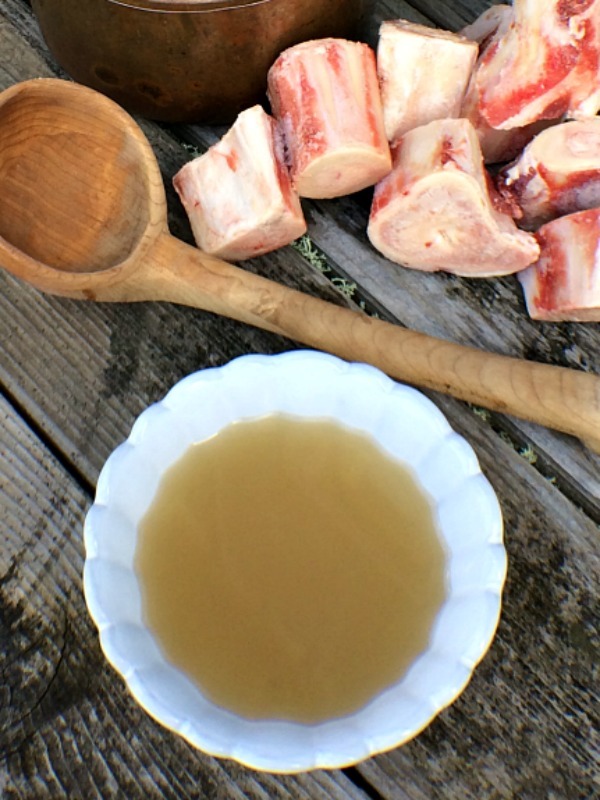 What makes this bone broth recipe the most valuable is one, understanding the different concepts of meat stock and bone broth and two, avoiding rancid fat in the process of making both. Place water in pot. Add bones and sea salt. Crock Pot or Stove Top: Set timer so broth will simmer 2 to 2-1/2 hours; depending on how long it takes for crock pot or pot to come to a simmer, set the time accordingly, about 3 to 3-1/2 hours. Instant Pot: Place lid with rubber ring securely into place. Turn steam valve to closed position. Choose "Soup" setting of 30 minutes. When timer goes off, allow pressure to release naturally for 1 hour. Then place dish towel or hot pad over steam valve and open it carefully to release any remaining steam. Option 1, use a ladle or metal spoon to ladle all the fat off the top of meat stock. Save this fat for another use. Option 2, when meat stock and pot are cool enough to handle, pour the entire contents of pot (fat and stock) through a fine mesh sieve into storage jars, reserving the bones. You now have either a pot with stock (almost no fat) and bones. OR you have an empty pot. The first option will give you less overall stock and broth in the end, but all the nutrients will be concentrated into one bone broth. The second option will give you two batches: one, a meat stock that's high in fat and gelatin, rich and flavorful. And two, a bone broth without fat but high in collagen and minerals. Both variations are great and fine and just a matter of preference. Most importantly, we aren't allowing the fat to have a long cooking time, during which time it becomes rancid and bad-tasting. With Option 1, the fat is now removed. We'll simply continue cooking the broth now, to extract the collagen and minerals from the bones with the longer cooking time. Crock Pot or Stove Top: Cook broth an additional 24-72 hours. Instant Pot: Reseal lid. Turn steam valve to closed position. Choose "Manual" button, then "-" button to set time at 120 minutes. When timer goes off, allow pressure to release naturally for 1 hour minimum. Then place dish towel or hot pad over steam valve and open it carefully to release any remaining steam. Strain and store in fridge until ready to use. Option 2, return bones to pot. Add 2 Tablespoons additional sea salt and 10 cups additional filtered water. Apple cider vinegar may be added to this recipe, if desired, as an aid in extracting gelatin, minerals and collagen from the bones. If you wish to include it, use 2 Tablespoons apple cider vinegar to each batch of broth. That was such a beautiful description of how to prepare bone broth and I loved getting the most recent information about crockpots. Thanks, Meg. My we use this blog as a hand out for our patients, off course giving you credit? I make venison bone broth every year. Are these in the photo pressure canned? Can you tell me how you do that, please. I think I might try that this year to save freezer space. It would be quicker than my dehydrated cubes for some recipes. And one more question, we are butchering Spot and Pinky this fall and wonder if I can make pork bone broth from them? We put our broth in jars because we can easily bring it to work with us, or to friends’ houses etc. But we don’t pressure can it. I’m sorry I’m not an expert on this and we drink ours too quickly to create a big back-stock; we just keep our broth-making going 24-7 and it’s always fresh in the jars. Occasionally, like you, I freeze ours if I have extra. Regarding Pinky and Spot, yes, pork bones make great broth. And if there’s a little meat left around the joints (which make the best broth), that meat is excellent, like slow cooked meat that is tender, flavorful and falls off the bone. So that first 3 hour broth will give you a treat of lovely meat too, as an added bonus! If not using the joint bones, then it would be ideal to saw through the other larger bones, so the marrow is exposed. Best to you! I am extremely excited to have found your blog. Finally a perfect description on how to do broth, step by step and why! My question is this: how much do you spend weekly on 24/7 broth making? 25-50$. Our chickens here are 13$ for non gmo. Our beef bones are 2$ a pound. Let me know. Very informative and thanks Megan. Do the chicken feet nails need to be cleaned or clipped off? What about hairs on the skin? There also hairs on the skin of pigs feet…. Can they be left on the skin or do they need to be removed? I’ve also heard somewhere that cooking chicken skin and fat isn’t that good because they are relatively high in polyunsaturated fats compared with other animals…what are your views on this? Some folks like to soak their bones in apple cider vinegar BEFORE they boil them, helping to break down and release the nutritional components. This is a fun and very optional approach. With chicken feet you’re really going to get a gelatin-rich product, no pre-soaking necessary. Just add the salt and the optional ACV to the cooking pot. I’ve been making bone broth for a few years now from our own pastured animal bones. I often will let my broth cook for 1-2 days before pressure canning it. I can it because if we part out some of our chickens I’m left with a dozen or more backs, necks, and possibly wings so I make very large batches in a large electric roaster. Anyway, I had never heard about removing the fat from the broth after the first 3 hours. What method have you found works best for you when it comes to removing the fat? And are you saying that you drink the fat you remove? I have sometimes put the most premium chicken fat aside in the fridge and used it for cooking purposes but I never considered consuming it just “as is”. Thanks for all your helpful instruction! So that is the easiest method, the one I just described above. But alternately, you can simply use a large spoon and spend 5-10 minutes spooning all the fat off the top of the broth and yes, keeping it for flavoring soups, stews, sauces, and sautees. It is an excellent source of rich flavor when cooking, as you know. Consuming it “as is” is for when you’ve harvested the broth with the fat, not just spooned the fat off separately. Thank you, Megan! You thoroughly answered my questions. I’m excited to do this your way next week when I thaw and process another batch of backs/necks/wings. This is really helpful! I have had a question about this process for some time. I usually cook a whole chicken in the crock pot (about 4-5 hours) with no liquid added. Then I throw the carcass back in to make broth. So is all the liquid that is in there from cooking the chicken considered the “first broth” that I should harvest? And then when I make broth from the carcass, is that really the 2nd harvest that should go for the 24 hours? Thanks for your help! Hi Sara, I apologize! Somehow I missed answering your question sooner. The liquid that gathers from cooking your chicken is going to be rich with fat and gelatin; so yes, save and enjoy that goodness. But you’re still going to get fat off of your carcass. So, still do the first batch for 3 hours; harvest that, because it will have more fat. And then start your longer 24 hour batch. Thanks for the article on bone broth. I have read so many articles on bone broth and nobody has mentioned about harvesting after the first three hours, great to know this. My question is how do your store the bones after harvesting the first three hours until you have time to do the second broth. Also do you use raw bones or do you roast it before using it for the broth. Both using raw and roasted bones turn out to good effect. Roasted bones are more noticeably delicious with certain kinds of bones, for instance turkey. I never roast chicken feet, as an alternate example. Roasting beef marrow bones is totally optional, awesome broth either way… Regarding storing the bones after the first harvest of broth, I do not. (But you can.) I just keep the next batch going; and if I don’t need it all, then I freeze or refrigerate the rest until I need it. But with our big family of 5 consuming broth 3 times a day each, we never have too much broth, lol! For your purposes, if you’d rather wait to do the next round of broth, you can freeze the bones, no problem, before making the second broth. Cheers. I’ve never heard of the 3 hour thing. What I’ve recently been doing is cooking a whole chicken, and the typical veggies, in the crockpot for 24 hours. But it sounds like you wouldn’t recommend this. What would you think of cooking the whole chicken for 3 hours, drain the broth, debone the chicken and reserve the cooked meat for another use, and then cook the bones for 24-72 hours? I happened to have a crock going as I came across your post. It was the ‘old way’ – chicken with meat on & veggies. Cooked for 24 hours. I took the meat off to use for dinners. Do you think I could use the bones one more time? Put them in the crock again for another 24 hours? Thanks for the very informative article! I had heard of women drinking broth of chicken necks after delivering a baby and found no further information on why it’s useful. Have you come across this practice or recommend it or do you recommend chicken feet over necks? Also, if we do not have access to organic non GMO meat and bones, could this broth still be consumed or does it do more harm than good? I do not enjoy the smell of broth cooking in my house. If you have it going all the time,is there a way you keep your house from smelling like broth 24/7? Some of the best gelatin comes out of the bones in the first 1-2 hours; so I like your idea and think it’s well worth trying! 🙂 Great idea. Can I re-combine the first broth with the second after they’ve both been draw off? Does ratio matter? Yes, definitely you can combine them. No, the ratio is subjective. More fat or less fat, according to what you have or to taste. Thanks. I’m curious, what temperature setting do you boil at? Cuz I boiled my first batch at max for three hours and got 2 quarts of broth. Then I boiled again for almost 24 but only at 2 and I got almost the full 16 quarts of my stockpot, LOL. You can cook your first batch at whatever temperature you prefer, as long as it doesn’t cook longer than 3 hours. I would then harvest any marrow that is loose enough to fall out of the bones. Sounds like your first batch evaporated A LOT and you could lower the temperature so it simmers but doesn’t boil. Oh, and do I need to scoop the marrow out of the bones after 12-24hrs? Cuz there was mooshy stuff where the marrow lives but I discarded that. The “mooshy” stuff is good eatin’. If you don’t want it, I’d still keep it and puree it into soups or sauces. It’s healthy and has a rich flavor that will improve any dish. Yes, that’s the marrow. Hi Megan. I want to make sure I understand this recipe. I already bought my 1.5 pounds of grass Fed bones at WF lastnight. OK, so from what I understand: The first 2-3 hours of cooking in crock pot; is that on low or high? Then after that; No skimming; save Everything, correct? Then repeat; re-adding new liquids again using same bones and cook Low for 24 hours. Am I skimming or throwing anything away after this 24 hour cycle is over? Also, thanks for the tip. I will probably have to do this in garage; as I know hubby will hate this smell. Ha! I made my bone broth last week. I used venison bones. The first batch (first 3 hrs) not any fat and probably makes sense since the meat is very lean. My second batch continued with bones, fresh water, ACV and salt for about 30 hrs. Both batches in the crock pot. The 1st batch like I said little fat and not gelatinous. The 2nd batch I put in frig and the next day found layer of fat and the entire bowl was gelatinous. I am thrilled as this is first time a lot of gelatin. In the past i rarely have any gelatin with maybe a handful of times doing. I think I read that your 1st batch has moe gel. I want to know if I did correct. Also , I think I want to mix teo batches and wnoder your thoughts and recommendations? Thank you so much for the detailed recipe. I’m happy to see a comment thread about venison bones. I’ve been researching how to do that specifically! Yours is the only blog I’ve come across that mentions making the first batch for only 3 hours… Is it just for skimming off anything that rises to the top, or for removing all of the broth and then starting again? I’m a bit uncertain as to why I need to do that versus just simmering it all for 24 hours? I’ve also come across a few places that have said to roast venison bones in the oven prior to using them for broth. Do you think that is necessary? Is it for flavor, or for another reason? Happy To have found you online! to boil it will become rancid.” Fat that boils becomes rancid. You can even taste and smell the rancidity. Roasting bones is optional. With some bones it lends a nice depth of flavor. With other bones, like bone marrow, the broth is excellent either way. It’s a very optional step. Cheers! Thanks for answering my questions, and for the quick reply! Yes, the crock pot was either on “low” or “Warm”. I switched it back and forth when I noticed it might be a little too hot, and based on what you had said, I didn’t want it to go bad. Hi Megan, I made the bone broth again with the venison bones again. Do you add more water during any time? I have read other people’s versions of bone broth and they do. Will you tell me more about the optional 3rd batch? I didn’t know until further down in the other comments. Thanks!! Yes, do add water as it evaporates, as needed. The 3rd batch just continues to pull out minerals and amino acids from the bones, as well as collagen. It’s optional depending on how frugal someone is. There are still nutrients in the bones; but the flavor changes with each batch and there is no fat left. Great now I know for next time. I didn’t add any water and produced a lot less in the 2nd batch (36 hrs) than the 1st. I do have a 3rd batch going only because I have never done a 3rd batch and am curious. I love reading your posts! Thank you so much! I attended the presentation that you did at Lane last week. I was inspired to make some bone broth and made some today. Mine is not nearly as clear as yours was. It has all sorts of brown goobers floating around in it. I skimmed it with a spoon after about an hour and yet… when I poured off my three hour broth, goobers galore. I’m fine pureeing these into a soup, but I was hoping to drink the broth plain. I think the goobers will rise to the top and settle in the fat, but if I wait and skim it all off then I will lose the fat. Help? I have four mason jars full of broth on my counter and I’m wondering if it is usable. I read through this blog and don’t see anyone else with this problem. I used backs and a neck. Pasture raised chicken from Long’s. Oh… now I see that you suggest straining the broth. Perhaps this is where i went wrong? I used a strainer but it is not a very fine one. What kind of strainer do you use to get the clear broth? Hi Laura, thanks for the chuckle. Goobers is a great word. Can you pour your broth through a fine mesh strainer? That will do the trick. The fat will come through, but no goobers! 🙂 Does that help? This is indeed what we do at our shop, before quarting it up. Yours is definitely usable!! 🙂 Don’t toss it…. A metal strainer… Let me see if I can find a link so you see an example: http://amzn.to/1LR56aZ The biggest of these three will be great for the job. I use the little one sometimes, too, at home, when I ladle straight from the crock pot into my mug. Cheers!! My 24 hour broth was gorgeous!!! So pretty and drinkable with no straining. I’m going to get the strainers nonetheless, so that my 3 hour broth looks just as pretty. But I’m slurping down my 24 hour broth quite happily… Thank you!!! I like your detailed post about the steps. I make bone broth without vegetables and I make it in the electric pressure cooker. I guess I would change the times to 40 minutes and 4 hours. What do you think? Hi Diane, I don’t have a pressure cooker, yet. But I’d love to get one soon. Your time guess sounds good to me. Maybe 30 minutes for the first go round; and then 4 hours. I added my leftover vegetable peels to the soup and cooked it for 24 hours in my crockpot. I never skimmed. I guess I will have to start doing that. Can I leave out the salt? I have to watch my salt intake. Also, what do you do with the leftover fat? Cook with it? a holistic doctor told you? I wouldn’t leave out the sea salt entirely. finished dishes, as well as cooking with it. Love all those marrow bones! 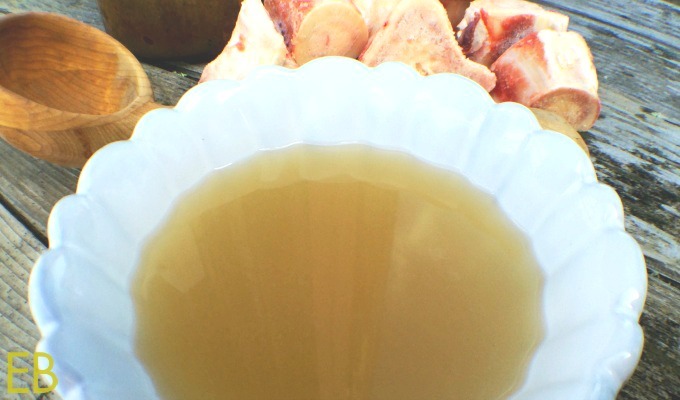 I greatly appreciate the details of your post on how to make nutritionally rich bone broth. Going thorough the 52 comments has helped to answer some of my own questions as well, but I have a few that come to mind. I also live in the Willamette Valley, just north of Albany, and was wondering if you are able to share the source for the pork bones that you use for your main broth to keep your costs down. I had heard the pork stores up toxins and so it would not be good to be used even if raised properly – but maybe it is not common to find a source of pork that is truly raised in such a way to be safe to consume. Also, you mention that the best broth is from chicken feet – where is the best source to buy them? You also mentioned that chicken should be “consumed in moderation because it being high in its omega 6 – omega 3 ratio” – I had never heard of that. So, from the research that you have come across are the best broths from chicken feet and beef with pork being considered just as healthy or comparable to chicken to be eaten in moderation. To say the least, you have done a remarkable job at answering the details of so many questions to help the rest of us who are trying to learn how to cook healthfully and apply it to our lives and those in our family. Thanks! so any helps would be appreciated. Thanks! Hi Jennifer, what you said works beautifully! You can roast or poach the whole chicken; and then the bones can be used for an excellent broth. Thanks! I’ll start roasting today. BTW – love your site. The recipes and helpful info have brought a smile back to food allergy / sensitivity cooking and eating. Thank you, thank you! Oh, I’m so glad! That brings me a smile, too!!! I was wondering about the chicken feet. Do I peel the fatty skin off of them after the 2-3 hour cooking time? Good question. No the skin can remain. Most of their fat will melt in the first 3 hours of cooking. What about using a pressure cooker for bone broth? Yes, definitely. 🙂 I discuss cooking times for pressure cookers and bone broth in some of the other comments, if that would be helpful. I need to freeze most of my broth since I Iive alone. What containers do you recommend? You can use glass mason jars; but the key, so they don’t break is two-part: one, leave 3 inches of head room and two, most importantly, freeze them on their sides. This makes a huge difference; and my husband could tell you exactly why, lol! Hope that helps. Cheers. Hi Kathy, on the Mason/Kerr jars, they need to be straight sided. You can see the difference at the store or online. You still need to leave headroom and lay them on their sides. I was trying to make a chicken broth for a year now, and never like it. I did like it when I make the chicken bullion (up to 2 hours boning). I was wondering what was I doing wrong, and was reading many posts and watching many videos. And for the first time I read: “The fat from the first 2-3 hour boil NEEDS to be consumed (or skimmed off and saved) after this time period has elapsed. If the fat continues to boil it will become rancid.” May be that is my problem – I don’t collect the fat?! My broth becomes cloudy and smells very heavy. It gives me heartburn. But I tough it is because it was too fatty. Also, my broth never becomes like a gelatin. I use a “whole chicken soup bones” from a local farmer. No feet, no head, no legs, no wings. The becomes very fatty. I do add vinegar, and let it sit for 30 min before boiling. I use a crockpot or a pressure cooker. Hi Nat’Lee, I think you’re now on the right track: remove the fat from the first 2-3 hour boil to protect the flavor and prevent rancidity. If you aren’t getting a gel then you need a greater bone AND JOINT ratio to water. Wings would be great, or feet etc. If you can’t get joints then use more bones. Then you should get the gel you’re looking for. You’re welcome and cheers! Thank you for sharing the different times with us. I think my family needs the 2-3 hour range right now for healing. But we also do the 24 hours. Reading this late after cooking bones five hours. Will be skimming and pouring off broth for soup tonight and tomorrow. I don’t have a source for pastured whole chickens or their parts except the eighteen dollar a piece variety (not in my budget). Do I skip the idea of bone broth or use the all natural, nothing added chickens sold at the store, and I have no idea about source of chicken feet. Hi Mary, that is such a hard question. It depends on why you are drinking bone broth. The source of the bones is really important in terms of the nutrition or toxins that come from them. If a person was really ailing, as I once was, then bone broth would still be the most healing food. But long term use of bones that aren’t natural or pastured would not be a good idea in my opinion. It would be worth considering if sustainably-sourced gelatin is in the budget, such as is offered by Great Lakes or Vital Proteins. If you are in good general health, then I think occasional bone broth, with the bones you can afford, and supplementation with well-sourced gelatin may be the best happy middle. I hope that helps! Do you have a mexican meat market in your area? If so – try that or any regular meat market. Perhaps these will become more popular in the grocery stores as bone broth becomes more popular! Is the 2nd boil of 24 to 72 hours usable? Is it as good as the first boil of 2 to 3 1/2 hours? What is the difference with the broth from the first boil to the broth from the 72 hour boil? Are they both as nutritious? Could I harvest the fat after the first 3 hours and continue the boil up to 72 hours and harvest more fat if anymore comes out? Hi Lara, the first boil has lots of gelatin and fat. The longer boils have more minerals and collagen. They are both nutritious in different ways. The first boil is more flavorful. On the first boil are you supposed to use the “low” or “high” setting on the crockpot? Hi Audrey, I’m sorry that I didn’t see your question until now. Either is fine for the first 3 hours. Question on beef: We got some sawed marrow bones from the local butcher that they sell from locally raised cows over here in Central, OR – no particular ranch, just a grab bag from what they process for local farms. They’re grass fed, pastured, and NOT feed lot cows, but not necessarily organic, or antibiotic free over their life, but likely are (hard to say: since they’re from many farms). It’s the best we could do for the time, and WAY better than the other alternatives. Still on my quest for good bones as I make calls to the farms. Did them in a digital pressure cooker, about 90min on high on the 1st round, harvested all of that broth along with any loose marrow and did the longer cook at 4.5hrs with new water and salt.
? #1 – They have an almost off-putting somewhat sulfuric smell, not that appetizing smell the chicken bones give off. Was this simply because we didn’t roast them 1st (decided to try it that way), or is this normal?
? #2 – After round 2, almost all the bones lost their marrow, gloppy brown goobery, gelatin like stuff, yeah? That is, save for one of the larger bones, it lost some, and what’s left that doesn’t easily scrape out, is like channeled calcium, which I can scrape out, but it’s crunchy and crusty (not the outer bone). I can chew it, gritty with a pretty rich flavor, but once chewed the grit is gone, almost better than the fat-like marrow goobers as it has a more complex flavor. Should I harvest this too, or does it need to cook longer than the nearly 6hrs total it has elapsed? Hi Tony, I recommend that the first batch of broth in a pressure cooker last for 30 minutes. The fat can go rancid, which is likely what you smelled, with the longer cooking. I’m not exactly sure what you’re referring to on the round 2 batch. Is it cartilage? If so, it’s fine to eat it or cook it longer, first. So glad you’re finding foods you can eat! Many blessings! We did another round, roasted them for an hour or so, till nice in color and rendering off some of the fat, then cooked them for the correct amount of time this time. 30min, harvested all that, refilled with water and salt, then 4hrs. All done in the pressure cooker on high. We found free range backs here, frozen, will that work, or do we need all the other parts? Hi Tony, backs are great!!! Wonderful choice! wow. I have been making bone broth for years, and I NEVER knew I was supposed to harvest after the first 2-3 hours to prevent rancidity. Oh my. Thanks for the very thorough details and answer all these comments and questions. Do yo have issues with the water level boiling off in a crockpot? With my second and third broth from the same bones I always have to add more water part way through so it doesn’t end up dry. Anyone have suggestions on how to prevent that? Or should I just add the water? Thanks! That’s fine, to add more water; it’s expected. 🙂 You can lower the heat, if your crock pot is adjustable, so it doesn’t evaporate as much. It can cook at barely a simmer. Hi Joelle, I understand! It can feel that way. My equipment is very make-shift actually: it’s just a metal measuring cup that I skim over the surface again and again, pouring off the fat into another dish as I go. Over time it becomes a peaceful thing. I think in the beginning it causes anxiety because we’re not sure if we’re doing it right or getting all of the fat! 🙂 So you don’t need to strain it all. The process takes about 5 minutes or less. I hope that helps. I’m still confused here….I don’t see a difference in the top layers of my broth from the bottom. Do you take all or practically ALL of the broth out?? Or just ladle a few inches? Are you actually straining something?? There are usually floating bubbles of fat. If you don’t see those, your bones may have no fat on them. Lots of bubbles- throughout. Not just at the top. That’s what I don’t understand. Why just skim the top when the fat is all through it?? Fat usually rises to the top. If yours is throughout, then chill it first. This will cause it to rise, solidify and then you can skim it off easily. Oh I didn’t know that you cool it first!! You can do either. I just simmer. But that first 2 hour broth will not be harmed over higher heat. It may not be fat if it’s not solidifying. Animal fat will solidify when chilled. Hi megan and fellow broth friends. I just posted above about my first attempt at beef bone broth with the result of it being incredibly bitter. I’m wondering maybe it’s bc I didn’t scoop out the fat first? And it was rancid? I can’t get the taste out of my mouth! Please help! If you just get a wire sieve or some cheese cloth you can strain all the fat from the broth. You can get them on Amazon. There are also YouTube videos on how to do that available online. It’s super easy. The biggest challenge for me is having the ideal container for storing the soup but also removing the refrigerated fat from the top. Some mason jars have too small of an opening and it’s hard to work with. Hi Megan, I made my first two batches of bone broth this week. I got a link to your blog from a friend and am interested in making broth for my own health and for a friend who had surgery. He’s on a broth only diet for a few weeks. I was unsure at first that i had followed your directions correctly, but this morning when I harvested the second batch I was delighted by the outcome! Reading the comments and clarifying questions/answers from your readers and you helped immensely to reassure me as I went through the process. Thanks so much! This pic does not do justice to the deliciousness! Hi Megan….I recently bought your new cookbook and I can’t wait to make the warm green smoothie once I make my first batch of broth. My first question to you is should I include any or all of the skin that comes on the chicken backs and necks in my pot? And my second question is it better to try to stick mainly with beef broth since chicken has too much omega 6 fats? Hi Josephine! Yes, do include the skin for the first 3 hour broth. Then remove it when you remove the fat, for the longer batches (24-72). I think of chicken breasts as being high in omega-6s, but not the rest of the bird. I would choose your animal and bones based more on which animal you can source grass-fed and pesticide-free. If you can get both that way, then try both for flavor and see which you prefer; or decide based on cost. That’s my take. 😉 So glad you bought the cookbook and that you’re looking forward to the smoothie!! 🙂 xo! Do you roast the beef bones if they are raw and frozen before putting in crock pot? Hi Megan! I just made my first pot of beef bone broth in a crock pot. I read that I should blanch the bones first for 20 mins ( a lot of stuff floated to surface) roasted them for 40 mins, and cooked for about 30 hrs. But it turned out so bitter and gross! I’m not sure what I did wrong. Please help! Hi Ash, I would follow the recipe on this page, simply– without adding any extra steps. Your broth was over-cooked, which is why it turned out bitter. I have a question about the broths. Sounds like you don’t put any veggie scraps in. Do you ever use them in bone broth? Just wondering if I should forgo saving veggie scraps for broth. Thanks so much for answering my comment Megan. I was just wondering if you used veggie scrap for anything else besides the bone broth? I look forward to making my bone broth like you recommended above. Thank you!!! Meg, can I can my broth? I would like to make a bunch for my kids to have away from home. I always wondered if pressure canning destroys any of the benefits. Hi Anna, I’m sorry to have not responded sooner, just seeing your comment now. The gelatin itself is not destroyed, as there are many testimonies online of folks canning their bone broth and it maintaining an excellent gel. I suspect the other nutrients are also intact; but there is less information available on that question. Hi Megan, I just tried your receipt, and after 3 hours of simmering I harvested my broth with the hope it would be jelly. Guess what? It’s not jelly. I used beef bones, including meadows. You’re the only one who says that all the gelatin will be in the broth after simmering it for just 3 hours, but I tried it and it didn’t work. Maybe if you showed us with a video how it works, make a harvest of a 3 hours bone broth and show us how jelly it is. That would help. Hi GM, if your broth did not gel then you need to increase the ratio of bones to water, so more bones. Use 3-4 lbs bones per batch. Thank you for this helpful information and the time you invest in helping people like me. Starting GAPS Intro tomorrow and I am making beef broth today using your recipe above. I was skimming the scum off the top at the half hour mark just now. and noticing that lots of grayish brown stuff in circulating in my pot. I am using beef neck and collar joints as well as a marrow bone. What is this chunky, foamy, brownish gray stuff in my pot and should I strain it out? Thanks ! Ewww. Really? Well thanks for the help Megan. May the Lord return your blessings tenfold! I will also try harvesting the 30-minute batch (I use Instant Pot). That sounds amazing! I take out all the “fat” thinking it’s bad for us. Do you blanch the bones? If so, all bones (including chicken)? How long? I wonder how long to blanch before it starts to take away some of the good stuff. Again, thank you very much for sharing your knowledge and time. Thanks for this explanation and recipe. 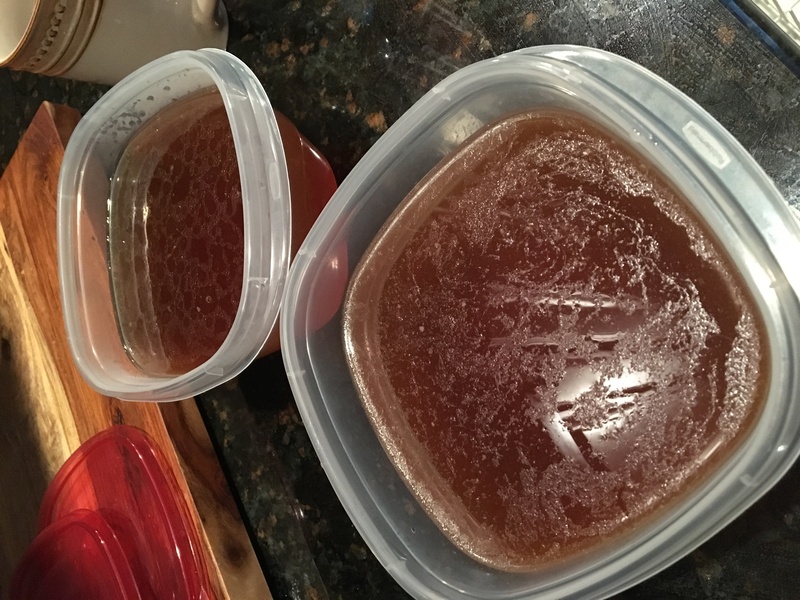 I used it to make bone broth for the first time and it taste much better than I had expected! Will you please explain how to store the broth? I used the option of putting the bones in the instant pot twice, so now I have a lot of it. Also, do you just drink it or do you use as you would broth for soups and such? Hi Megan, my question is regarding the Instant Pot method. I’m wondering what is the reason for the full hour of releasing steam? The steam on mine seems to be gone well within 15-20 minutes or so (if not less). Wow! What a great read! You consistently answer so many questions with patience and attention (even though many are repeatedly asked) I googled why does my broth taste bitter and found your experience written down. Thanks a million and blessings to you for your help!! Thank you for this article. I’ve been having the worst luck with broths and could not figure out why they keep turning out bitter. Thank you for explaining the problem. Now I understand! My question is: I just made a broth from marrow beef bones from a steer we had butchered. They were frozen fresh. This first broth I made turned bitter. Can I drain that broth and still used the bones without anything left on them for a second try? Also, any ideas on what I could use the bitter broth for? Maybe adding a bunch of herbs and such to hide the bitterness? Would adding wild rice or potatoes help? I really don’t want to have to feed it to the dogs. Please help! Thank you! Hi Nicole! Thanks for your comments and questions! Here’s the post for you! 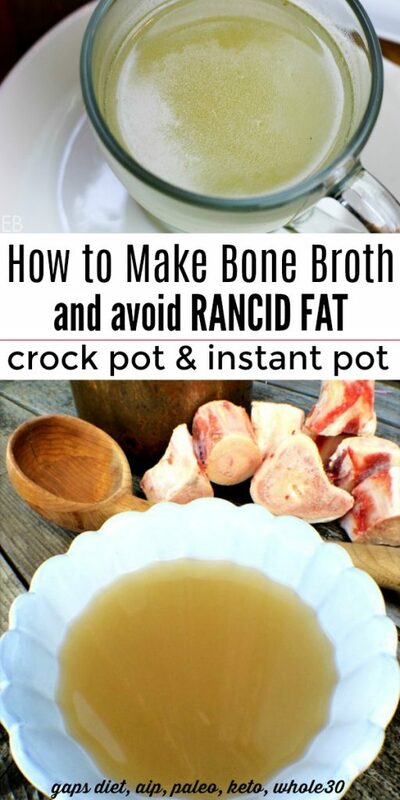 : https://traditionalcookingschool.com/food-preparation/what-to-do-with-bitter-broth/ 🙂 I don’t recommend using your bones again, but you can certainly salvage that original broth as the linked to post explains. Best!